A coconut pineapple matcha smoothie is the perfect smoothie treat. Both dairy and gluten-free, with fresh pineapple, coconut milk, and matcha tea. Matcha is a green tea powder from Japan that is packed full of antioxidants, fiber, and chlorophyll. Matcha is a powerhouse compared to other green teas. Read more about the health benefits of matcha tea and discover why it’s a step above the rest when it comes to green tea. But, for some people, matcha can be an acquired taste. By blending matcha into a smoothie with coconut milk and fresh fruit, the matcha flavor is more subtle. Swap out pineapple for another fresh fruit such as banana or mango. Swap out coconut milk for a nut or dairy milk. 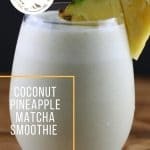 This coconut pineapple matcha smoothie is perfect for a hot summer day, or even over the colder months when you want to feel that tropical feeling. 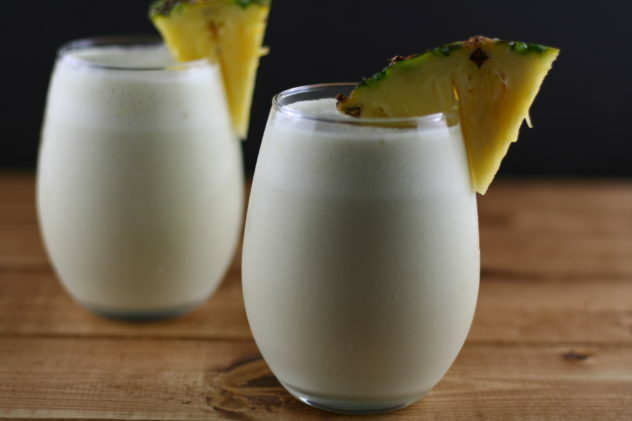 Enjoy these other smoothie recipes! Add all ingredients in a blender and blend until smooth. 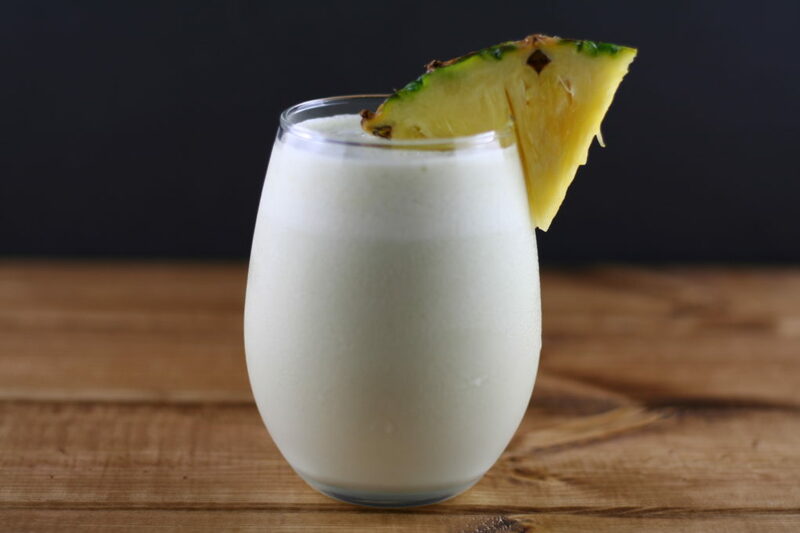 Garnish with extra pineapple and enjoy!